Here are a couple of wild string jobs. 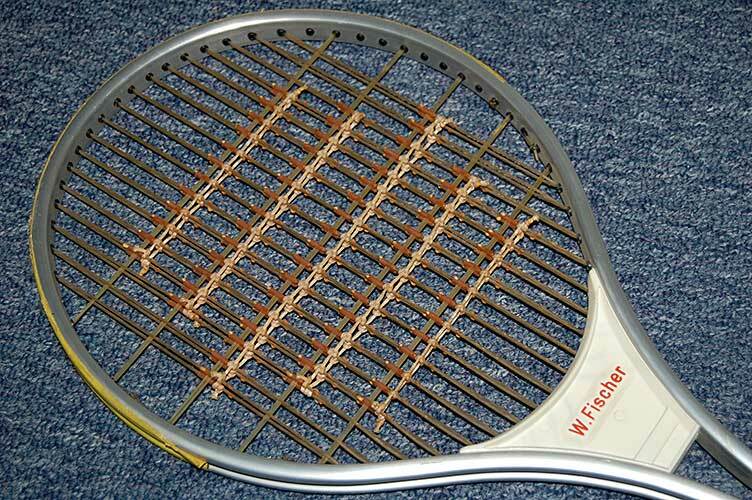 These racquets are in the collection of the U.S. Racquet Stringers Association. Here’s the infamous spaghetti string job. 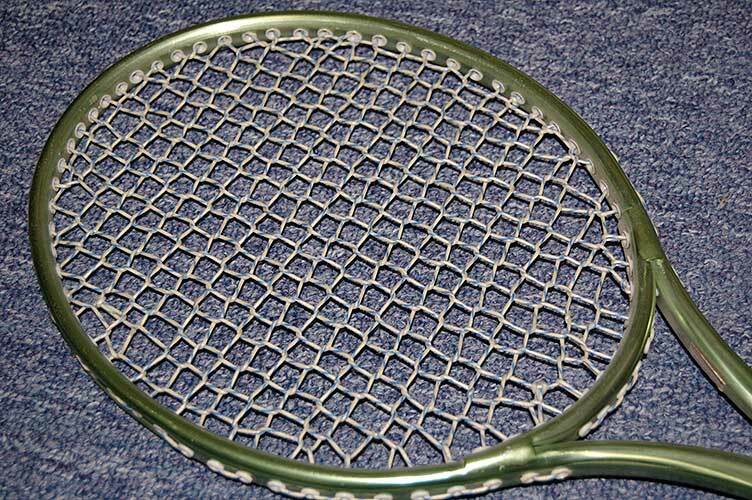 Here’s a wild woven string job on an old Yonex frame.